The word sanctuary has a nice sound. A holy place or natural retreat for animals. Add marine. Marine sanctuary. A safe place for Dory. Add Native Americans. 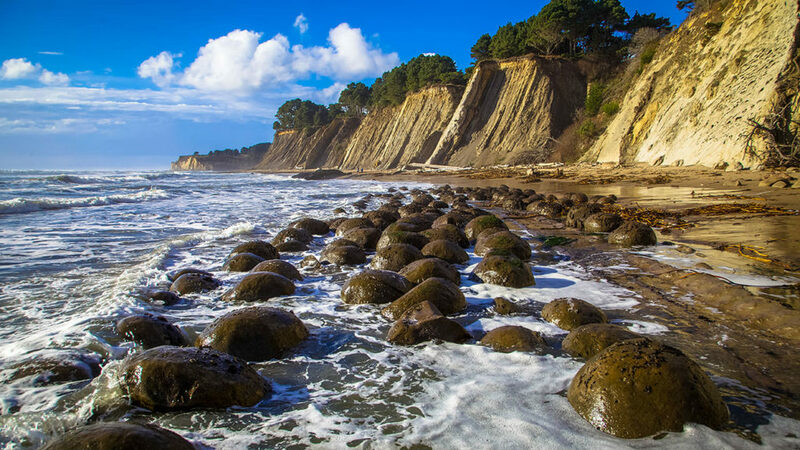 It’s a trifecta: Chumash Heritage National Marine Sanctuary. Sounds so beautiful. Or is it? Our San Luis Obispo County Board of Supervisors has had two hearings on this subject in recent weeks. Other cities and agencies have also been hearing this proposal. But, the Board of Supervisors voted 3-2 against the establishment of a sanctuary off our coast. How can this be? Proponents for the sanctuary delivered 12,000 signatures on petitions to demonstrate local support. On the other side, the opponents appeared to have fewer than 400 supporters. On one hand, thousands of local citizen have faced off against the small business community as represented by commercial fishermen, ranchers, farmers and the Chamber of Commerce. An analogy may be that this is a case of popular vote versus the Electoral College as we saw in the recent presidential election. Another wrinkle is the name of the sanctuary. Although “Chumash” is used in the title, the only state and federally recognized Chumash Tribe, the Santa Ynez Band of Chumash Indians has not endorsed the sanctuary bearing their name. Another state recognized tribe, The Salinan Tribe, has not endorsed the sanctuary either. What’s going on? The “tribe” cited in the title of this sanctuary is not a state or federally recognized entity. The Northern Chumash Tribal Council is the source of the “Chumash” in the Chumash Heritage NMS. The Santa Ynez Band of Chumash Indians did comment on the proposed sanctuary in a May 4, 2016 letter to our former Congresswoman, Lois Capps. “The Santa Ynez Band of Chumash Indians recoil in disbelief about you public display of support of the Chumash Heritage National Marine Sanctuary,” the letter said. These documented conflicts between “tribes” was a significant factor in our Board of Supervisor’s decision to oppose the sanctuary. Another issue in this debate is the belief by some that a NMS designation could be used to stop offshore oil development. But, is this accurate? In the Channel Islands NMS offshore Santa Barbara, there are offshore oil production platforms. Some of these platforms existed before the sanctuary was designated. There are undeveloped offshore oil leases in the ocean waters off southern San Luis Obispo County. An important aspect of offshore development is “staging.” That is, it takes tremendous amounts of land and harbors for people, equipment, ships, aircraft and material to site a rig. The closest port where this could possibly occur is Oxnard, more than 100 miles away. The distance is far too great to be practical. Knowing this, SLO County placed Measure A on the ballot in 1986. Passed by our county voters, Measure A requires any onshore support facility must be approved by a two thirds vote of our county citizens. 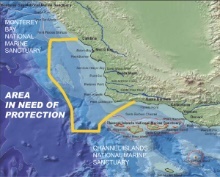 Although sanctuary supporters like supervisor’s Adam Hill and Bruce Gibson are correct that SLO County has no jurisdiction over the nearshore waters, the county does have land use jurisdiction. To date, Measure A has succeeded for 31 years. Other significant issues have been raised by the commercial fishermen of Morro Bay, Port San Luis, Santa Barbara and Monterey. Speaker after speaker came forward to repeat the mantra that “a marine sanctuary would have no impact on commercial or recreational fishing.” Then why would so many fishermen come forward with numerous examples and documentation that indeed, national marine sanctuaries do have influence on fishing regulations? What sanctuary managers have been shown to do is use their influence and pressure on other state and federal agency in “recommending” management changes. Our Board of Supervisors made it clear that their vote was not the end of this discussion. The Chumash sanctuary is only in the NOAA “inventory” of sites under consideration. Citizens of our county need to decide whether they think our local and state management of natural resources is adequate or whether we need the federal government to guide our lives. Steve Rebuck of San Luis Obispo is a fisheries consultant who has appeared before the U.S. Congress four times (1984, 1985, 2001, 2003) on the sea otter in California, MMPA and Endangered Species Act. Did off-roaders go missing near Pozo? Is Fred Collins an alleged Chumash Indian? He represents himself to have authority to participate in Native American affairs. This question came up in litigation proceedings between Mr. Collins and the Salinan tribe of Monterey and San Luis Obispo. A state certified genealogist was called in to certify Collins connection to the Chumash people. The documentation showed Collins has no direct Chumash Indian blood nor even of any California Indian decent and therefore has no right, by blood, to participate in Native American Indian affairs. Mr. Collins has been repeatedly asked to disclose his genealogy certifying his genealogy in connection to the Chumash people. The Salinas Indian tribe repeatedly has tried to communicate with the members of his board of directors but has been unsuccessful. The letter says and I quote “It often appears that while he claims to represent the “Northern Chumash” he is mainly speaking for himself. Last week an administrative complaint concerning the CHNMS against DOC NOAA ONMS was served on NOAA and dropped off to the SLO county district attorney for his information. The complaint is a warning; a lawsuit is pending. In this complaint Mr. Collin Is referred to and nicknamed “Lone Wolf. Perhaps because he has no authority to represent the Chumash People. Clearly things are happening behind the scenes that the County Board of Supervisors are aware of but has not yet come to the general publics knowledge. This Marine Sanctuary already seems to be costing the taxpayers plenty. Where might one find a copy of this complaint? I’d be curious to hear the author’s opinion on how setting a standard for PWC use in the coastal zone, a subject where other agencies do not claim jurisdiction, is a bad thing. The author writes “(The following day, the Jet Ski was not onsite and another surfer died due to lack of rescue equipment. )” The reason a surfer died was because 1) Surfing big waves can be dangerous 2) Trained rescue was not in the right place at the right time. As I understand it, fish have to breed somewhere. Wouldn’t a protected space allow for more propagation of the very resource that keeps fishermen employed? For some who may not know, the rules, regulations and current protected areas for fishing in our local ocean are so significant and have been in place for so many years, that fish populations are thriving and coming back. Some regulations are even being relaxed a little and letting fishermen fish areas they haven’t been able to in many years because of the healthy fish populations. All the fishing that takes place is monitored by a few governmental agencies, studies are done and data collected by the fishing trip. There have been several marine reserves in certain areas all along the coast and depth restrictions make even more areas that are no fishing zones. The fishing that takes place today along the California coast, weather it’s for many different kinds of rockfish, sole, shrimp or other fish is not hardly a dent as opposed to the fishing that took place before the 1990’s. There is a lot of protection in place along the shore to out deep.